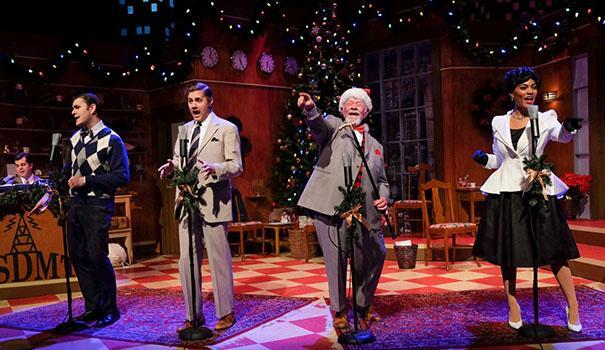 In anticipation of yet another Christmas musical in radio-show format, the spirit flagged. 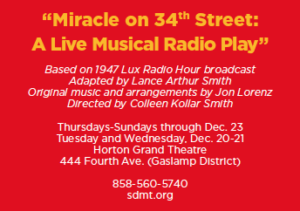 Nonetheless, the critic dutifully attended San Diego Musical Theatre’s (SDMT) first outing at the Horton Grand Theatre in the Gaslamp District, to see “Miracle on 34th Street: A Live Radio Play.” What a splendid surprise! The well-appointed studio has a multilevel playing area with oriental rugs, easy chairs, five microphones, and a keyboard/Foley mini-studio for the announcer, portrayed by Foley artist and pianist Cris O’Bryon. 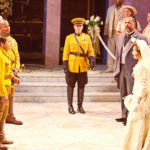 Others in the company, who play multiple roles, are Eric Hellmers and San Diego newcomer Lise Hafso. Both are excellent comedians with Hellmers at one point turning in a fabulous duet with himself. The miracle of “Miracle” is that it touches and inspires and uplifts without turning into so much treacle. Kudos to director Smith. Beth Connelly’s costumes are subtle, with Chovick attired in a period suit with red accessories. (His whispered “It’s Christmas Eve” sent chills up my spine.) Connelly’s double-collared white jacket with perky peplum for Jones sent this woman of the times into orbit. Nate Parde is lighting designer, and Kevin Anthenill, the all-important sound designer. With 250 seats, the Horton Grand seems a perfect venue for SDMT’s presentation of more intimate musicals. 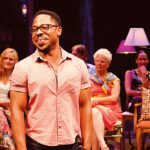 SDMT and Intrepid Theatre share the space, each company devising separate programming. 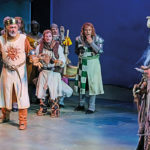 During the coming season, SDMT will present two musicals at the Horton Grand and three at the Spreckels: the regional premiere of the Broadway musical “First Date,” and the world premiere of “Pump Up the Volume: a ‘90s Palooza,” by Lorenz and Colleen Kollar Smith, at the Horton; and “9 to 5,” “Damn Yankees” and “Billy Elliot the Musical” at the Spreckels. —Charlene Baldridge has been writing about the arts since 1979. Follow her blog at charlenecriticism.blogspot.com or reach her at charb81@gmail.com.